Hard times for conventional radio stations. 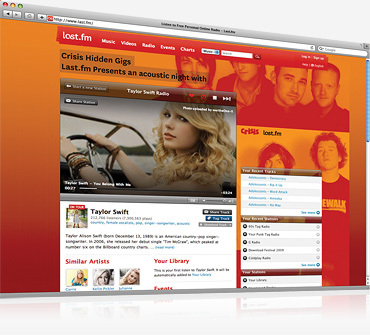 There´s a new and improved version of Last.fm radio on the web. Last.FM redesigned the listening page, and at its centre is an expanded metadata area that showcases a catalogue of images uploaded by the Last.fm community. Pick up to three artists, or up to three tags, and mix them together in a combination of your choosing. Now everyone can be a DJ on his own.